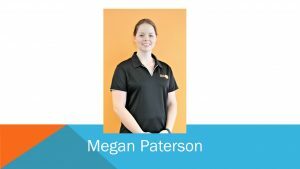 Megan enjoys treating a wide range of clients for general and maintenance issues with great interest in postural stress and sporting injuries, along with chronic injury and illness management. Megan has competed at National level Irish Dancing for 8 years, has been dancing for more than 10 years, and competed at the World Championships in 2014. She has come out of this amazing experience with some chronic injuries, and understands how frustrating they can be. Megan has found some relief from with a combination of Soft Tissue Therapy and exercise, and knows that it is going to be a long road but she won’t let that stop her making progress. Megan is available at both Macquarie and Woden locations.